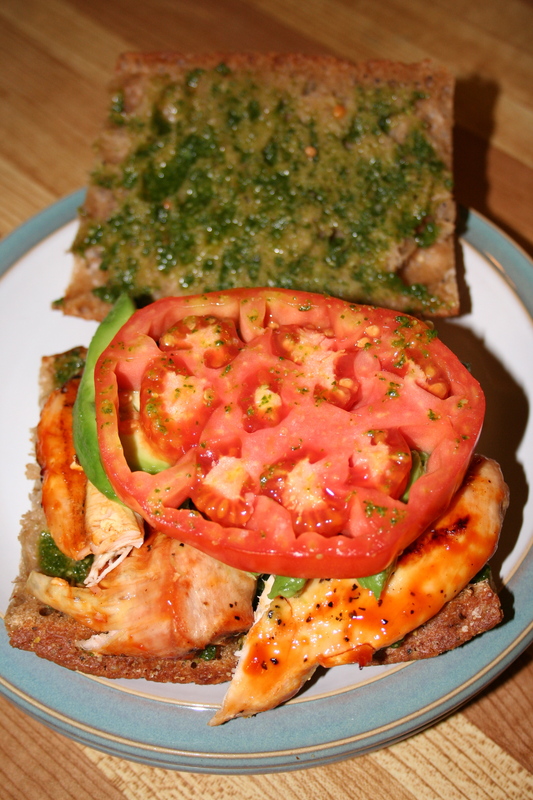 I cannot really call this pesto as there are no pine nuts, or anything replacing them. 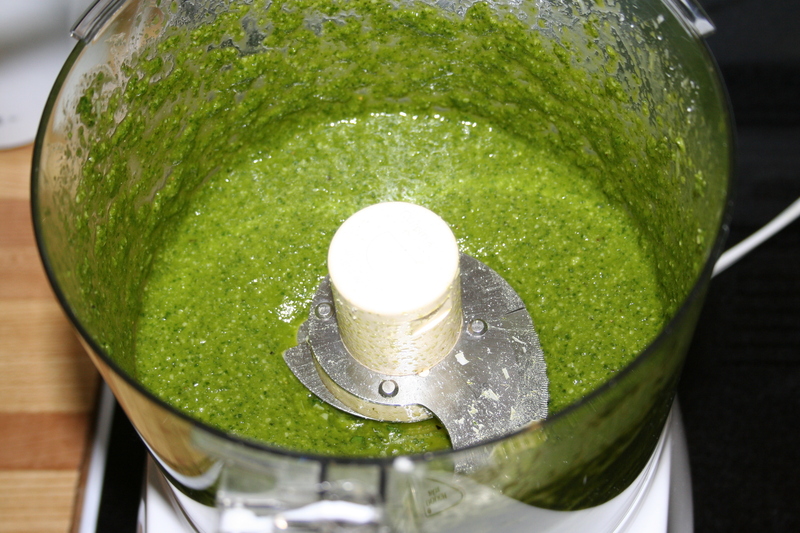 We really like pesto, but got used to making it without one of the main ingredients when Evie was in daycare, there was a child there with a severe pine nut allergy. Of course we couldn’t substitute walnuts because like most schools/daycares there is a no nut policy due to allergies. Now we still make it this way, which we are ok with, because pine nuts are expensive. 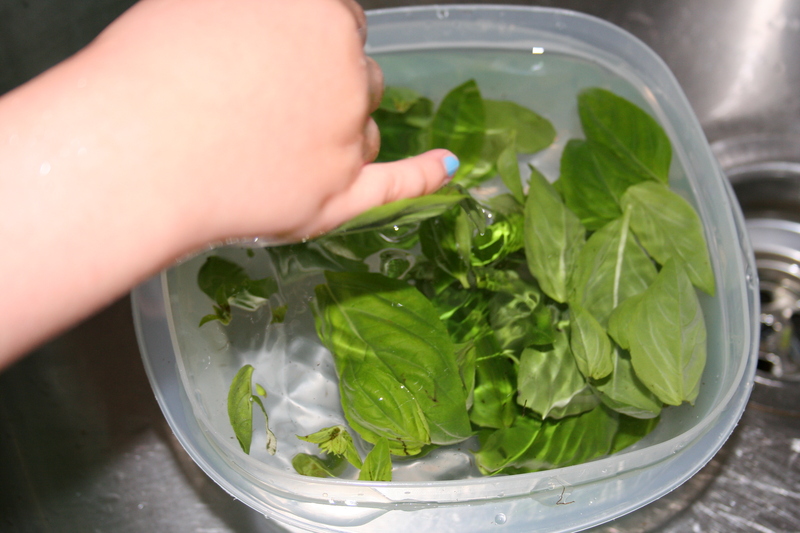 We went to the local farmer’s market to get some nice fresh basil and we got a big bunch for the same price we would have paid for a little sprig at the grocery store. It smelled soooo good. 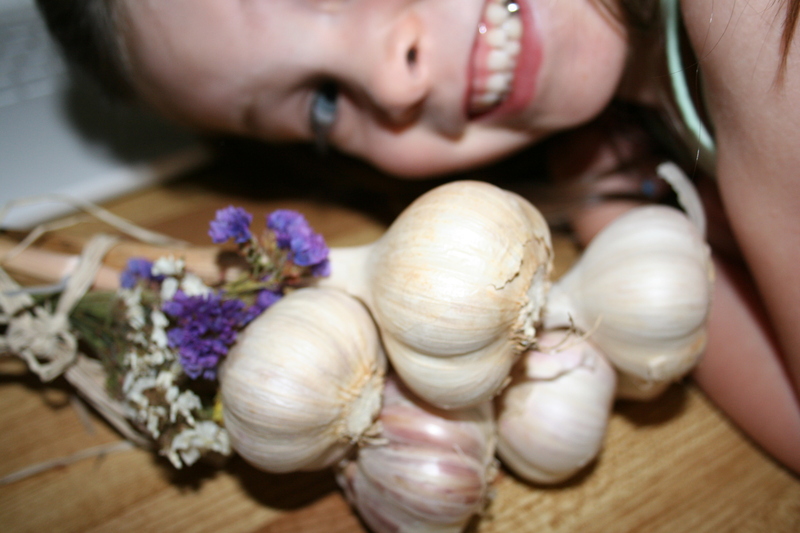 We also got some local garlic braided with pretty dried flowers. Evie can’t stop picking at it. 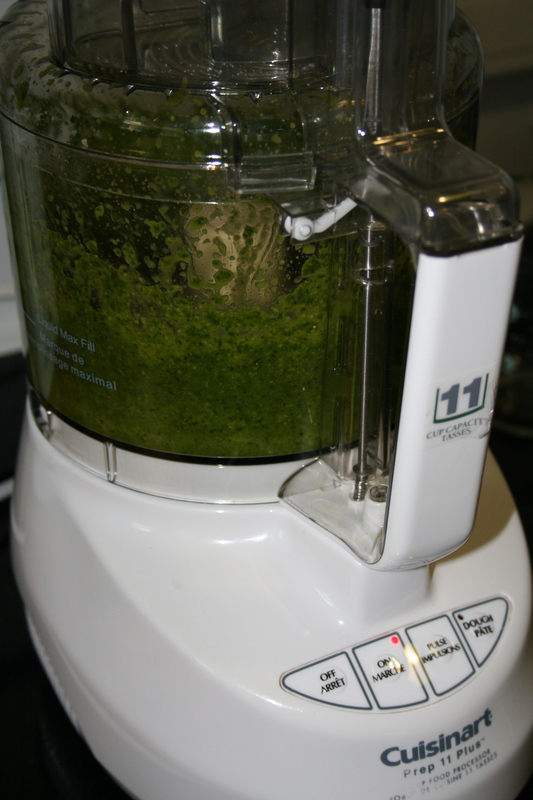 Blitz all of this in a food processor a few times, then blend more, while pouring in a constant stream of olive oil. I used somewhere between half cup and a cup of olive oil. 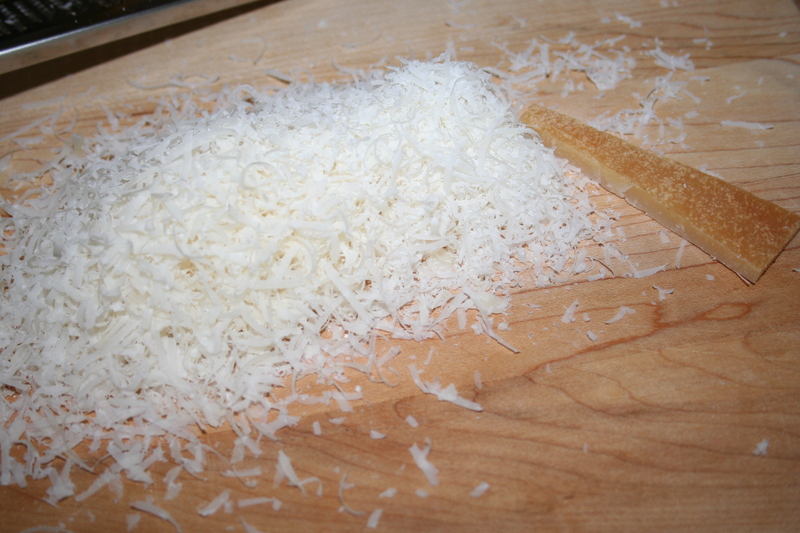 Sprinkle in salt and pepper to taste. 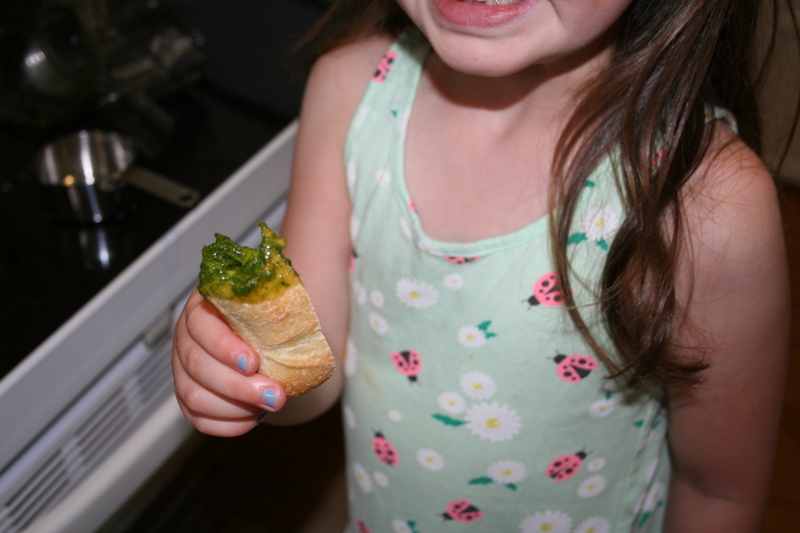 We kept some pesto for our supper sandwiches and Evie took some to school to dip her bread in for lunch. The rest we will freeze to use later. Probably for a dressing for pasta salad for a school lunch. 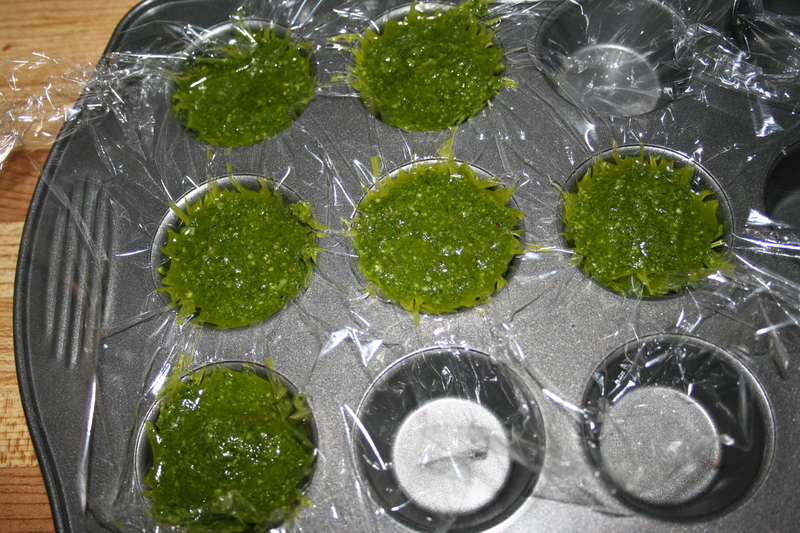 To freeze pesto I place a sheet of cling wrap over a mini muffin tin and fill the cups with the pesto. The plastic wrap will make it easier to remove from the tins then wrap individually and place in a container or zip top bag. That way you can pull one out at a time. 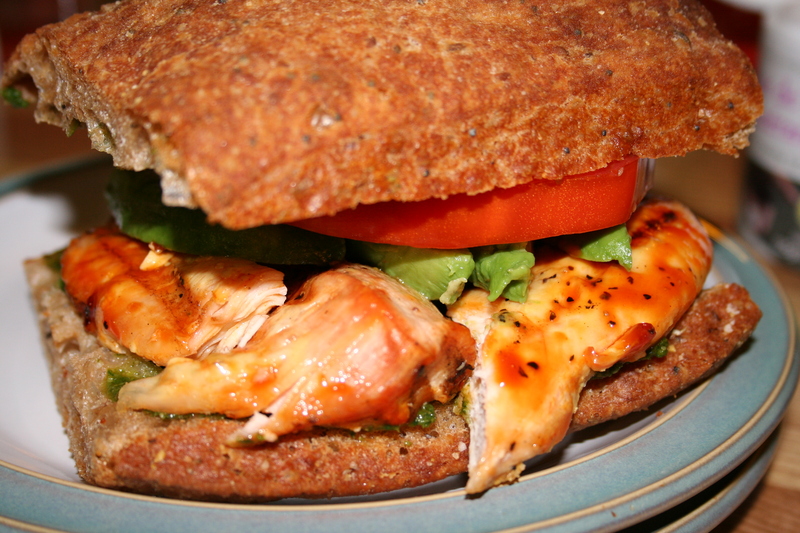 For supper we made sandwiches on one of our favorite breads, foccacia would also be good. 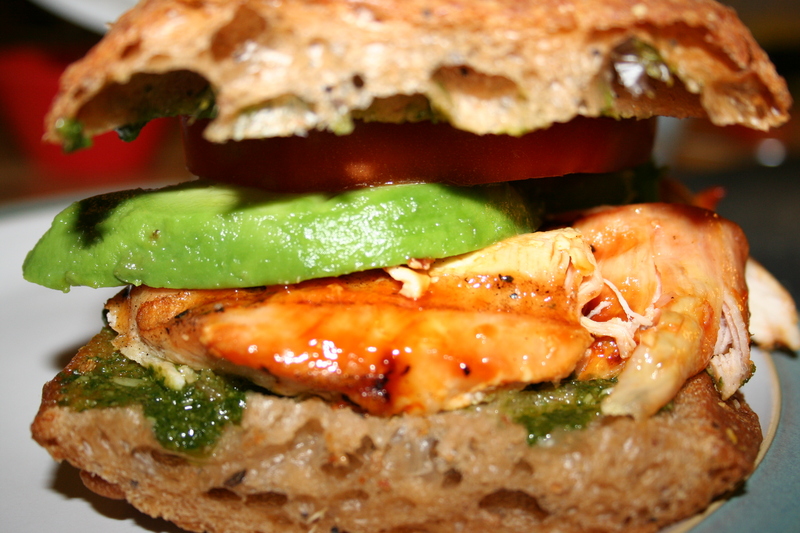 This entry was posted in cooking, frugal and tagged avocado, basil, chicken, garlic, olive oil, parmesan cheese, pesto, sandwich, tomato.